The South Korean military plans to deploy its new Multiple Launch Rocket System (MLRS), named Chun Mu Korean, in the second half of this year in areas bordering the Democratic People’s Republic of Korea (DPRK), Yonhap News Agency reported Tuesday, March 24, 2015. 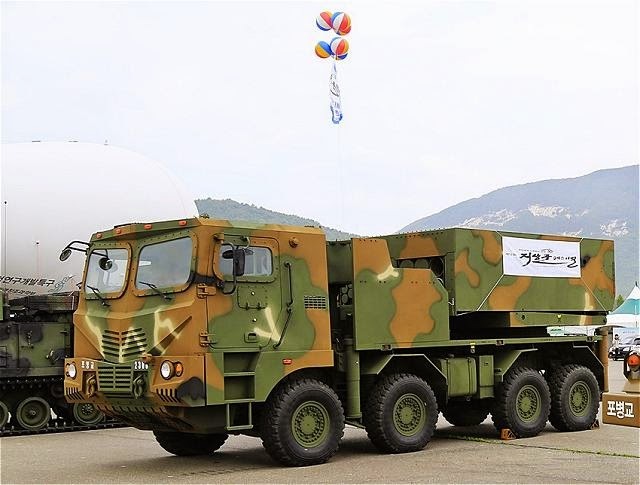 A South Korean military official was quoted by Yonhap as saying that the next-generation multiple launch rocket system (MLRS) will be deployed in the Army’s frontline corps from the second half of this year as its development was completed. The Cheonmu was expected to be deployed in areas near the disputed western maritime borders from 2015, said the official. An official at the South Korean Defense Ministry told Xinhua that details on the Cheonmu deployment cannot be confirmed as it is a military secret. He said the military has continued to enhance combat capability in areas near the western sea border. 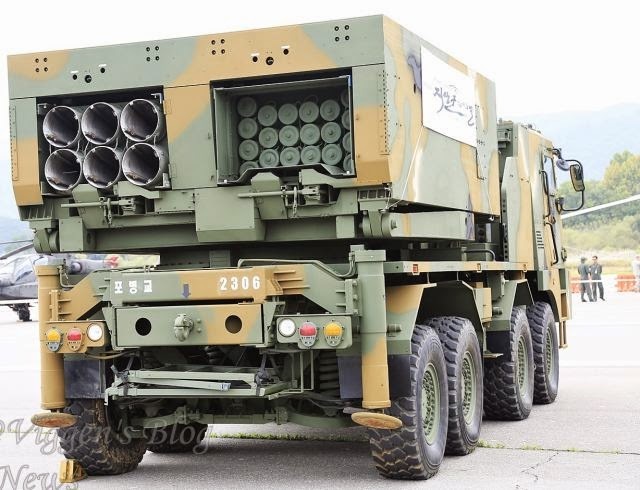 The Cheonmu, which will replace the existing MLRS called Guryong, is composed of 130 mm rocket launcher and 230 mm launcher, which has a maximum range of 80 km. The range is longer than South Korea’s K-9 self-propelled howitzer with a maximum range of 40 km as well as the DPRK’s 170 mm self-propelled howitzers and 240 mm multiple rocket launchers that have a range of 54-65 km. The DPRK is reportedly developing its new multiple rocket launchers with a maximum range of about 200 km.